Register your Primary School to enter the voting contest to win a school playground made from recycled oral care products! 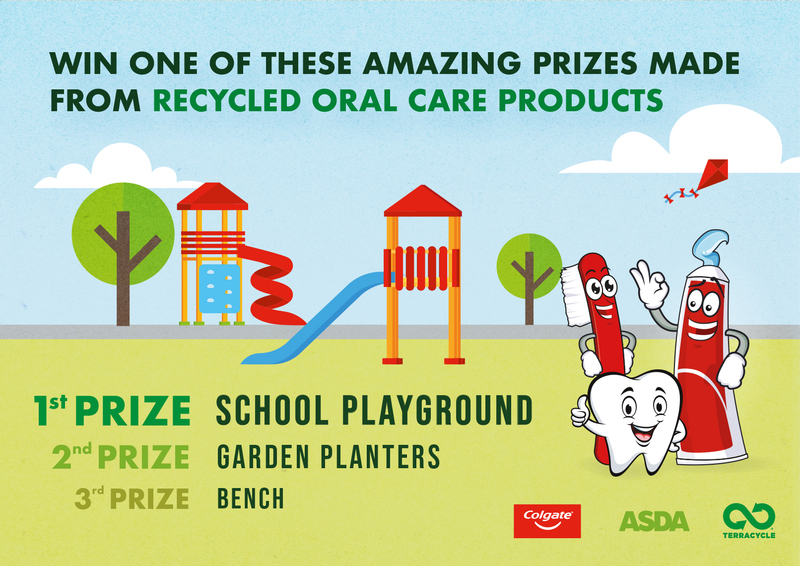 As part of The Colgate® Oral Care Recycling Programme, Colgate® and TerraCycle® are offering the opportunity to a Primary School to win a playground made from recycled oral care products. You can register your Primary School for the voting contest from the 15th of April 2019 until the 17th of May 2019. To register, please follow the steps below. 1. Create a TerraCycle® account on our website. Make sure that you fill out the 'ORGANISATION TYPE' as 'Primary School' and fill out the name of the school under 'ORGANISATION NAME'. 2. Sign up to The Colgate® Oral Care Recycling Programme by clicking on the 'JOIN PROGRAMME FOR FREE' button at the top of the page*. 3. Fill out this registration form to complete the process. * Please note that, unlike the existing programme requirements, you don't have to become a public drop-off location in order to participate in the contest. From the 23rd of May, you can come back to this page to see the list of registered Primary Schools participating in the contest. You will be able to cast your vote for your favourite Primary School(s) until the 3rd of July 2019.